Seventeen states have legal protections to prevent discrimination against transgender people in areas like housing and employment. One of those states is New Jersey, and when employers there want to know how state law applies to transgender people, many of them call Robyn Gigl. She’s a partner at a top law firm, a board member of Garden State Equality, a nonprofit that works on LGBT issues and is also a transgender woman. “I put a human face on something, and I consider myself the most normal person in the room,” she says. 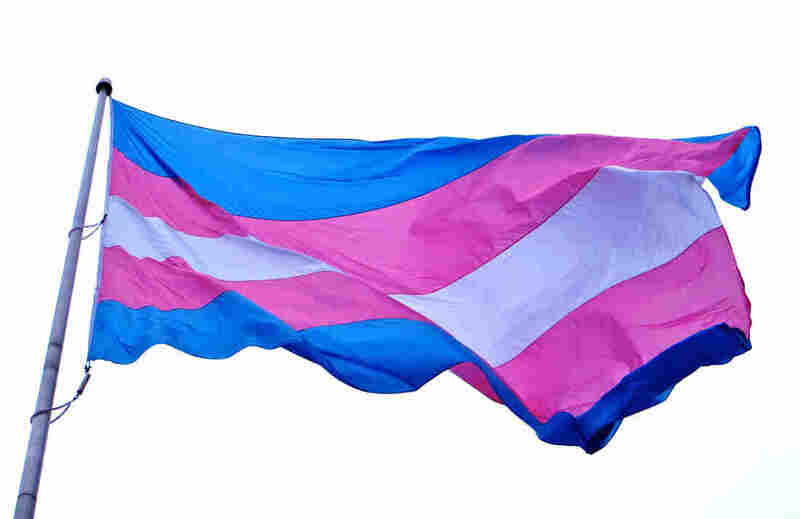 It’s been nearly 10 years since New Jersey expanded its anti-discrimination law to include gender identity, with little fanfare or opposition, Gigl says. That means it’s illegal to fire someone, or deny them an apartment, or any other public accommodation, just for being transgender. “Once the law changed, the word got out there relatively quickly that people were protected based on their gender identity or expression. And as a result employers became very aware that they couldn’t discriminate. 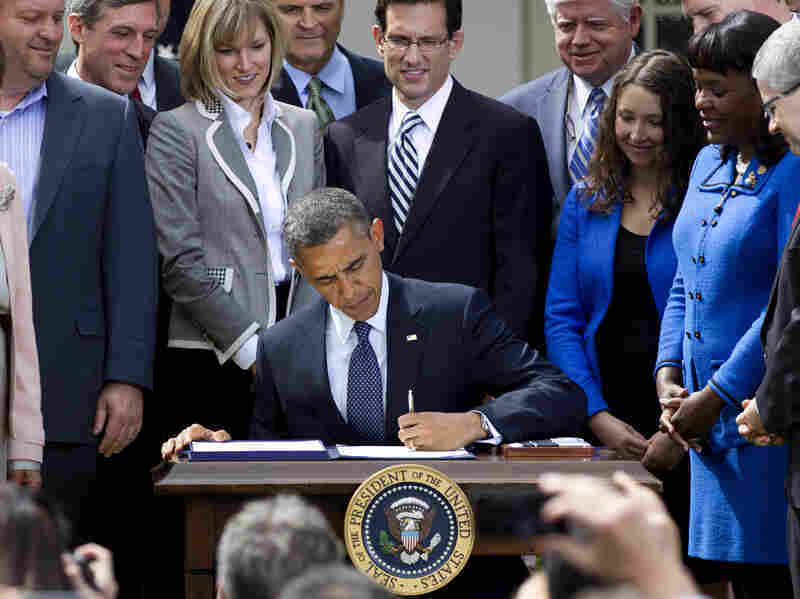 I think you see that most of the major employers in the state get it,” Gigl says. Still, Gigl says New Jersey sees a handful of transgender discrimination cases every year. Often, it’s a wrongful termination lawsuit that’s brought after an employee comes out or transitions to a different gender. But there’s only so much the law can cover. Leslie Farber is an attorney in Montclair, N.J., who specializes in family and employment law. She says a lot of times, there’s just not enough evidence to prove that a landlord or an employer was breaking the law by not giving a transgender person a job or an apartment. “Those cases are hard to prove because rarely will you get the smoking gun. You may have felt that was the real reason you got denied, whether that was real reason housing or employment, but you have to have something more than a feeling,” Farber says. Within the LGBT community, transgender people have the highest rates of unemployment and homelessness. Still, transgender people can be reluctant to bring discrimination lawsuits because they don’t want to attract attention. But that did not stop Amira Gray. Gray is a publicist, model and transgender woman. She was pulled over by police in North Bergen, N.J., in 2013. Gray says she got a bad feeling as soon as officers started using the wrong pronoun to refer to her. A law is just a tool and what we want to change is the culture — and that’s long term. Gray says the police accused of her of driving with a suspended license even though her license was valid and improperly impounded her car. The police department settled the case but did not admit any wrongdoing. Gray’s lawyer, Kevin Costello, says that New Jersey’s law is both working and not working. “At least New Jersey allowed me to help Amira and to challenge this police department to do better the next time. So it totally worked. On the other hand, it’s a shame that we still are having the conversations we’re having,” Costello says. Costello says just having a law on the books hasn’t instantly changed peoples’ attitudes. But it can be a first step, says transgender activist Barbra Casbar Siperstein. She pushed hard to expand New Jersey’s anti-discrimination law 10 years ago. “A law is just a tool and what we want to change is the culture — and that’s long term,” she says. Siperstein thinks New Jersey’s law has helped more transgender people to come out — and stand up for their rights. North Carolina Gov. Pat McCrory signed House Bill 2 — far-reaching legislation that limits civil rights protections for LGBT people and requires people to use multiple occupancy public restrooms that correspond to the gender on their birth certificate — on March 23. Since then, NPR’s newsroom has made a concerted effort to approach thoughtfully the ensuing debate, which has largely focused on “Transgender Rights, The New Focus In The Culture Wars,” as the headline on Debbie Elliott’s May 11 Morning Edition piece summed it up. Standards editor Mark Memmott has issued four “memmos” on how to approach the coverage and what language to use; they can be read here. But, as with any fast-moving story, particularly one in which strongly felt social and religious values meet up with legal freedoms and protections, NPR has not gotten everything right for every listener and reader. Here is a look at just a few of the varied concerns, as well as some thoughts from me on how I think NPR has done. “I’m sad to say that it was almost the last straw this morning when you interviewed a supposed ally from a civil rights group who referred to transgender as a ‘sexuality.’ Transgender is not a sexuality. I know gay, straight, and bisexual transgender people. Being transgender has nothing to do with one’s sexuality. Please, if you are going to interview allies, make sure they are informed allies. Make sure they speak for us. Better yet, please please PLEASE speak to some actual transgender people about what they are experiencing. A number of folks have spoken out and protested in NC. Speak to them. 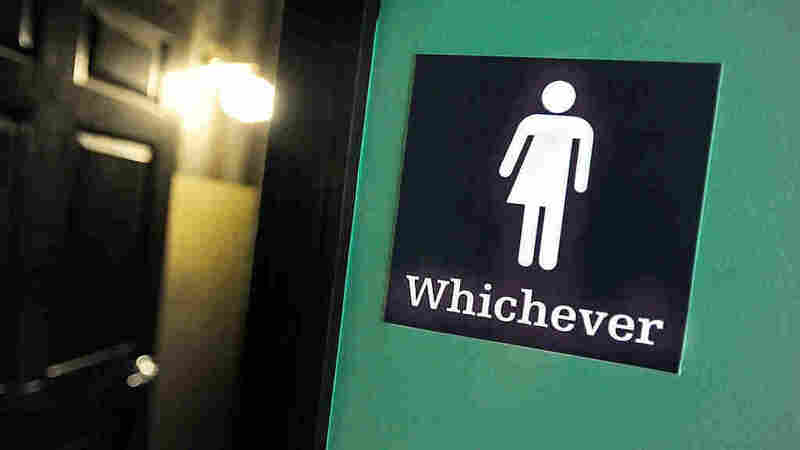 Speak to the lawyers of the young man in Virginia who has won the right to use the restroom matching his gender identity. Speak to people who will provide the facts,” about whether transgender individuals have been charged with lewd acts in public restrooms and the danger to transgender individuals who use such facilities. NPR cannot control what its guests say, although misinformation should ideally, indeed, be corrected along the way. As to the facts, Jeff Brady’s Weekend Edition Sunday piece attempted to get at them, citing some preliminary research that “extending public accommodations rights to transgender people” does not appear to lead to more crimes by predators, and that transgender people and non-gender conforming people themselves are at some risk in restrooms. But the writer makes a valid point regarding who gets to speak as this topic is debated. Of the 43 stories we found in the archives through yesterday that dealt with the issue since HB2 was signed, just nine (four of those after the listener wrote) included someone who openly identified themself to NPR as transgender. Looked at another way, out of 91 total guests, just 11 spoke from the perspective of being transgender. That is not enough. Listener Kinney also wrote with concerns about the April 10 Sharp interview. As I responded to him then, “For better or worse, NPR tends to deal with multiple perspectives on an issue in separate interviews, sometimes strung out over a couple weeks.” (I also pointed him to the counterpart perspective that ran earlier.) I understand why listeners find NPR’s approach unsettling; not every listener can hear every interview. As Elliott’s piece made clear, this is more than a simple debate over bathrooms, and NPR has not ignored other issues — it has still found time for plenty of Donald Trump news as well as a superb report this morning about continued delays to see a doctor at Veterans Affairs clinics. But what do you think? Has NPR spent too much time on this topic? Gently bouncing up and down in microgravity aboard the International Space Station, NASA’s Jeffrey Williams delivered a message to the people of Earth. Nearly 18 years after its initial launch, the ISS has traveled 100,000 laps — 2.6 billion miles — around planet Earth, according to a statement from NASA. Traveling at speeds of nearly 18,000 miles per hour, the craft takes about 90 minutes to complete one orbit. This means the astronauts living on-board experience 16 sunrises and sunsets in a 24-hour period. 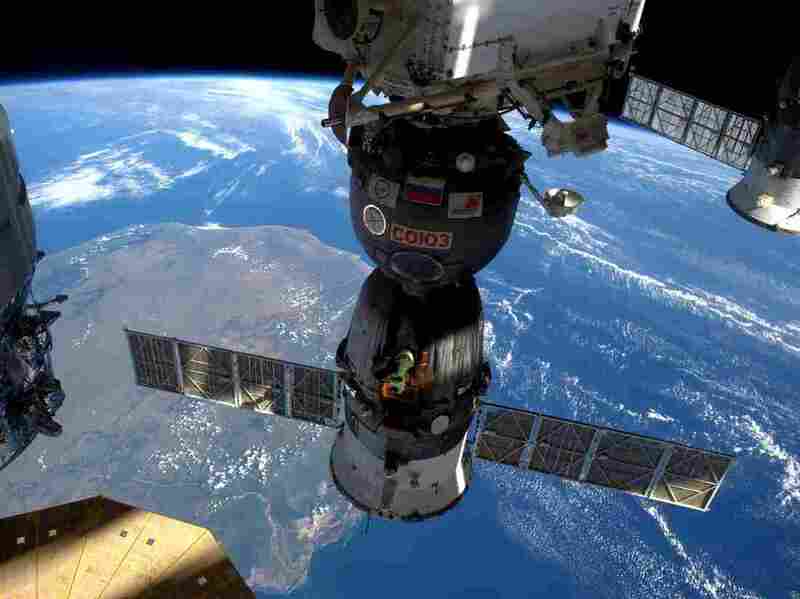 Right now, there are six astronauts on the ISS: Williams, from the U.S.; Tim Kopra, also from the U.S.; Russian cosmonauts Yuri Malenchenko, Oleg Skripochka, and Alexey Ovchinin; and British astronaut Tim Peake. He said more than 220 astronauts and cosmonauts from 18 different countries have been on the ISS since its “first element launch” in 1998. Since humans began living and working on the ISS continuously in 2000, they’ve repeatedly pushed the boundaries of what’s possible for life in space. In March, astronaut Scott Kelly returned from nearly one year in space, the longest-lasting space flight ever. And last month, the current ISS commander, Peake, ran the London marathon from space, as the Two-Way reported. Harnessed to a treadmill to keep from floating away, Peake finished the race with an estimated time of 3:35.21. As Williams said in his video message, this is just the beginning. So in other words, instead of just getting, say, a t-shirt, by investing through one of these portals, you get an actual equity stake in a small company that’s looking to raise money and grow. You own a piece of the company. And you can make money by selling that stake down the road if it appreciates in value. It used to be that to buy shares in a company that’s too small or young to be publicly traded, you needed to be what’s called an “accredited investor.” That means you had to be pretty wealthy. But as part of the JOBS Act in 2012, Congress decided there should be a way for ordinary Americans to invest in small businesses or startups too. To protect investors though, there are new rules surrounding the process. If you’re a small business owner looking to raise money this way, you have to go through a registered broker dealer or a funding portal that’s been approved by regulators. Some of these new portals include NextSeed, SeedInvest, and Wefunder. Of course there are risks for investors. The self-regulatory industry group FINRA (the Financial Industry Regulatory Authority) has posted advice for ordinary people interested in investing in an early-stage company through crowdfunding here. For businesses, crowd-funding promises to expand the world of options for raising capital. It’s possible that businesses could raise money more cheaply and/or easily by crowdfunding than through traditional bank loans or professional investors. But, fees appear to be a question mark at this point. If the fees are too high, either for investors or businesses, that might stop crowdfunding from really taking off. A story that started off as viral catnip highlighting the thoughtlessness of tourists took a dark turn on Monday. The National Park Service announced that a bison calf, which was put in the back of a van by tourists who thought it looked cold at Yellowstone National Park, had to be euthanized. The story of the tourists went viral over the weekend after a picture of the baby bison on the van was posted on the Internet. “[Karen Richardson of Victor, who posted the picture,] says on Monday, as students were being taught at Lamar Buffalo Ranch, a father and son pulled up at the ranger station with a bison calf in their SUV. “Rob Heusevelet, a father of a student, told the men to remove the bison from their car and warned they could be in trouble for having the animal. The tourists were ticketed but today the park service said that following the incident, the baby bison was rejected by its family. The bison, by the way, just became the U.S. national mammal. The wave of conversation about diversity and representation in fiction is about to crest again: Women swept this year’s Nebula Awards, handed out this past weekend in Chicago. All of the fiction awards — for short story, novelette, novella, novel, and the Andre Norton Award for Young Adult novels — went to women authors, and Mad Max: Fury Road (a film NPR’s Chris Kilmek called a “boldly feminist chase flick“) won the Ray Bradbury Award for dramatic presentation. (The Solstice Award — given occasionally at the discretion of the SFWA board to people who’ve made a big impact in the field — did go to a man, the late Terry Pratchett.) In some ways the winners, and the full nominating ballot they were chosen from, represent a local, genre-specific eddy of change in the larger ocean of literature. “I think it is a product of our time that great stories, diverse stories, are appearing and being celebrated,” says Sarah Pinsker, whose story “Our Lady of the Open Road” won best novelette. The Nebulas are nominated by and voted on by the members of the Science Fiction and Fantasy Writers of America (SFWA), an organization made up of working writers, editors, and other publishing professionals. They’re given out during the group’s annual conference, which is dedicated to celebrating, educating, and supporting genre writers. This year’s celebration started with the presentation of the SFWA Grand Master award to C. J. Cherryh, honoring her lifetime contributions to the science fiction and fantasy field. Then, in category after category, authors like Alyssa Wong, Nnedi Okorafor, and Naomi Novik took home glittering nebulae and planet replicas encased in clear Lucite. To some observers, this might signal a dramatic shift in the science fiction and fantasy genres, which are often perceived as being a (white) boys’ club that’s only recently begun to diversify. 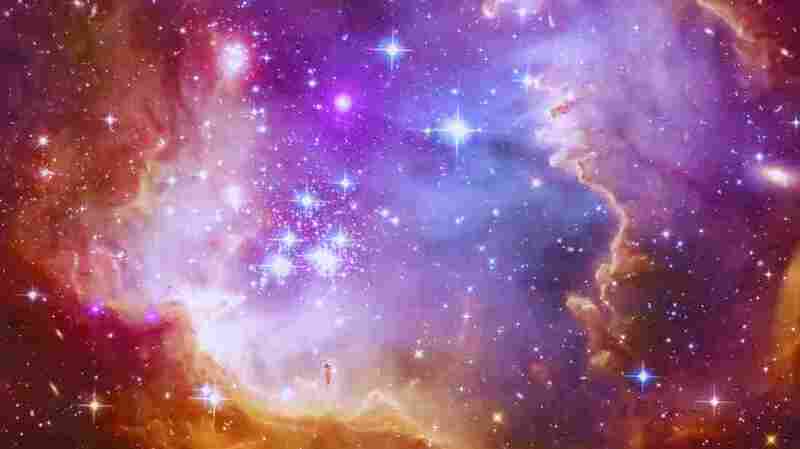 But that’s not the whole picture, as the Nebulas themselves prove. This isn’t the first time women have swept the awards; you have to go back to the late 1960s and early 1970s, the very beginning of the Nebulas, to find a group of years dominated by men — and even then the list of nominees included women and one of the men consistently winning was African-American author Samuel R Delany. This weekend’s winners reflect many different types of diversity beyond gender. Half are women of color, half are self-identified queer women – which mirrors the overall diversity of the ballot. 24 out of the 34 works nominated for the award were written by women from multiple racial and cultural backgrounds and a spectrum of sexual orientations. Of the 10 works by men, five of them were written by people of color and queer authors. Tempest Bradford is a speculative fiction author, media critic, podcaster, vlogger, and issuer of the Tempest Challenge. All eyes were on 20-year-old Abdullahi Yusuf when he stepped on the stand in federal court last week in Minneapolis to testify for the prosecution in America’s largest ISIS recruitment trial. He testified he was introduced to radical Islam by the three men now on trial, Guled Omar, 22, Abdirahman Daud, 22, and Adnan Farah, 21. Yusuf is not only a key witness in this case. He’s also the charter member of America’s first jihadi rehabilitation program. He was arrested last year, months after the FBI stopped him from boarding a flight that would eventually have taken him to ISIS in Syria. The 1995 novel is about the difficulties of navigating two worlds at once, in this case, the life of an American Indian off the reservation. Amin also had Yusuf writing papers about French philosopher Michel Foucault’s ideas about prisons and power and society. “I’m introducing him to many different texts that could really challenge how he thinks and sees the world,” Amin said. This ISIS case has rocked Minneapolis. The courtroom gallery erupted last week during Yusuf’s testimony after some young Somalis on the back benches told Yusuf’s mother that her son was a spy. Amin says watching this happen in Minneapolis is heartbreaking and brings back painful memories. 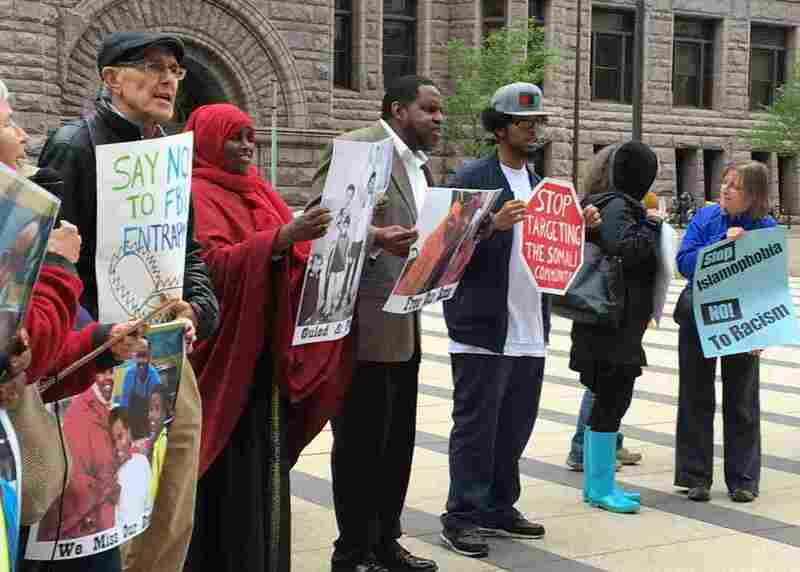 The Twin Cities struggled with young men from the Somali community leaving to join al-Qaeda’s arm in Somalia, al-Shabab, nearly 10 years ago. Judge Davis has appointed a German radicalization expert, Daniel Koehler, to assess the men who have already pleaded guilty in the case. Koehler runs the German Institute on Radicalization and de-Radicalization Studies. He wouldn’t discuss the individual assessments he’s made of the young men in Minneapolis, though he did tell NPR that he thought that some of the young men who pleaded guilty, though not all of them, could be helped with counseling. “There’s a real desire to figure something out to fix this,” he said. Imagine trying to raise a child with just $159 a week. For foster parents on one Native American reservation in southern Arizona, that’s all the money the tribe can afford. But leaders have plans to double that soon, if they can gain access to a large source of federal funding. When it comes to the U.S. military’s special operations forces, names like Navy SEALs and Army Green Berets probably come to mind. But the Marines have their own unit that’s not very well-known: the Raiders.